Throughout Chinese history, names of places are often changed to conform to new civil administrative systems imposed by new rulers/conquerors. This is a geographical identity cleansing on an unimaginable scale. Xiamen Island (廈門島) is no exception. Xiamen is of course known to the West as Amoy. Xiamen Island was known as 嘉禾嶼 during the Song Dynasty and 中左所 during Ming Dynasty. It had been part of the TongAn Prefecture (同安縣). During the Song Dynasty, TongAn was made up of 11 Li (里) which became 44 Du (都） in Yuan Dynasty, and 37 Du in Ming. The 11 Li's were named 長興, 同禾, 民安, 從順, 翔鳳, 感化, 歸德, 仁德, 安仁, 積善, and 嘉禾. 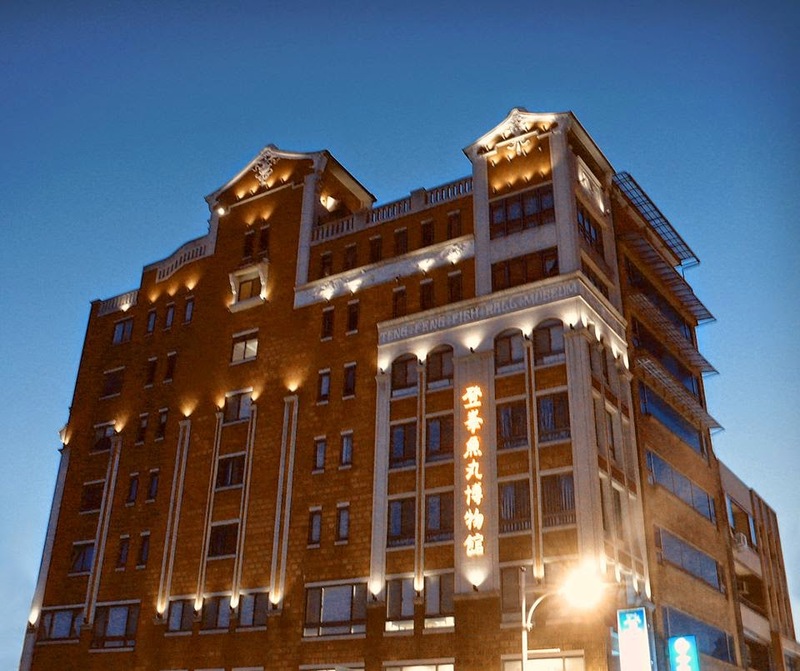 And 嘉禾里 was the original name of Xiamen Island. The ancestors of some Tamsui-lang were from 嘉禾里 or Xiamen Island, while others, the rest of the old TongAn Prefecture （here). 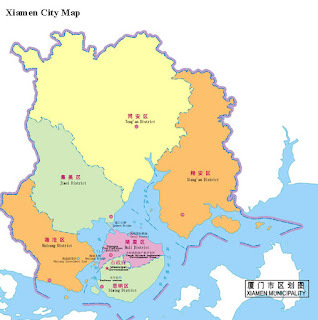 Not to be out-done, the PRC has also re-districted these areas and lumped them into the City of Xiamen (above), adding even more confusion.